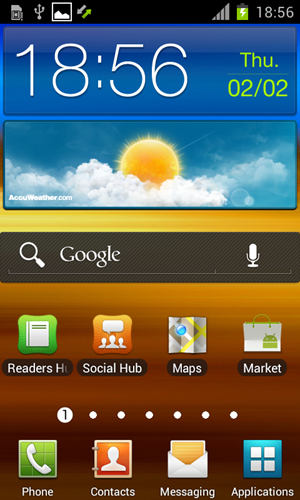 Another build of the official Samsung Galaxy S II Android 4.0.3 Ice Cream Sandwich ROM has been leaked, Redmond Pie has learned. This one is a big improvement over the previous versions and is said to be stable enough for use as a daily driver. Check out the step-by-step installation guide after the jump! Before you begin, please note that you will have to be on a rooted Galaxy S II International Version. As far as we know, this doesn’t work on variants such as the Epic 4G Touch. If you followed the steps correctly, your Samsung Galaxy S II will boot into an official, leaked beta build of Android 4.0.3 Ice Cream Sandwich. For queries, check out the comments section over on SamMobile’s post.